Sorry, we are currently sold out of '82 Golden Yellow Amber Rondelle Beads - 10mm x 6mm'. Please check back later. 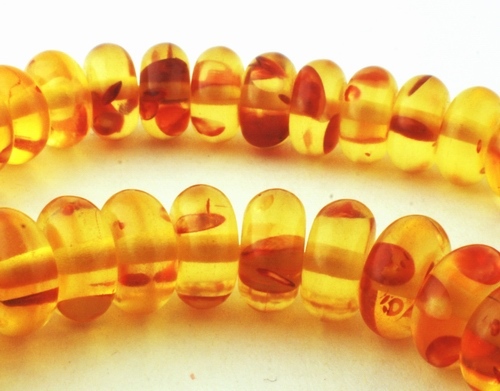 Price is per 16 1/2-inch strand of these chunky reconstituted amber beads. Each rondelle measures 10mm x 6mm - about 82 beads to the string.